Has separation or divorce left you feeling confused, upset and overwhelmed? Start with Clarity. Based in Ottawa, Clarity is a “one-stop shop” for people dealing with the challenges of separation or divorce—no matter what stage you are at in the process. Should you separate? Or should you stay? Clarity can help you sort through all that confusion. Learn more about our Relationship Assessments. You’ve decided to separate or divorce. Now what? We can explain your legal rights, create agreements, file paperwork on your behalf, and support your emotional needs. Separation, divorce and new relationships can affect the whole family—especially children. Clarity can help reduce family conflict and develop solutions for moving forward. Are you dealing with the emotional aftermath of a separation or divorce? You’re not alone. We offer counselling and workshops to help you heal and recover from trauma. Every one of us is passionate about what we do: helping people make important decisions and deal with emotional turmoil due to a separation, divorce, or relationship breakdown. We are here for you—no matter where you are in the separation or divorce process. Get started on the path towards Clarity today. You can also send us a confidential message, or use our online chat in the bottom left corner of your screen to learn how Clarity can successfully see you through the other side of separation or divorce. I want more clarity content! Before coming to Clarity Divorce Centre I was emotionally and physically drained. I thought that my fight was over and that resolving our situation was beyond my control. With Diane’s no-nonsense attitude and her direct approach, my ex and I found a way to meet on middle grounds for the best interest of our children. We are now co-parenting and we can communicate effectively to be on the same page. This has made our lives so much easier with a lot less stress hanging over us. Diane helped us find our way and for that I am thankful. I came to Clarity Divorce Centre looking for help because my relationship was strained. Diane’s way of explaining emotional blueprints really opened my eyes and helped me understand where the fights were coming from. I was able to save my relationship and I continue to live with my significant other. I am so happy that we could work things out and I have Diane to thank for that! I came to the Clarity Divorce Centre feeling broken and drained. I had no idea where to start or what to do but I knew I needed help. Diane and Tarah helped my family so much. We are now a blended family and are able to co-parent with ease. The Clarity Divorce Centre focuses on the well-being of the children, this is their top priority. We were able to draft a parenting plan and we haven’t had any issues since then. Our family is now a lot happier thanks to Clarity Divorce Centre! When I started looking into services for separation and divorce I came across Clarity Divorce Centre’s website. I quickly realized that this center could help me with all the things I needed to resolve. This surprised me because it is all under one roof. I inquired and I’ve had nothing but a professional, positive experience with Clarity Divorce Centre. Diane is helpful and she takes the time to explain everything in detail. We resolved our issues in a timely manner and we didn’t need to drain our bank accounts. I highly recommend The Clarity Divorce Centre to anyone going through a separation! I was having a really hard time with my children, which made me reach out to Clarity Divorce Centre. Tarah was able to find the problems and help my children identify their feelings. 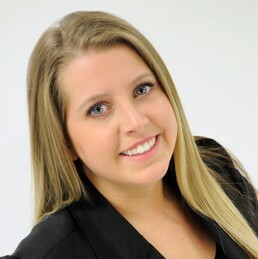 Tarah specializes in helping children cope with separation and divorce. She uses alternative therapies to be able to get to the root of the conflicts. I am so grateful that she was able to help my family. Clarity Divorce Centre provides excellent mediation services. I was recommended to Diane and she has surpassed my expectations. She was able to provide me with a separation agreement that is professional and fair. Diane takes the time to explain what’s going on and to guide both parties through one of the most confusing hardships of their lives. 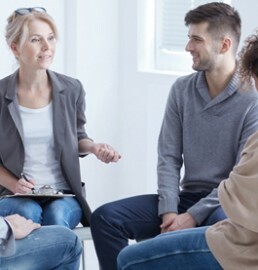 Clarity Divorce Centre has professional, reliable staff that is able to find resources for any situation revolving around separation and divorce. 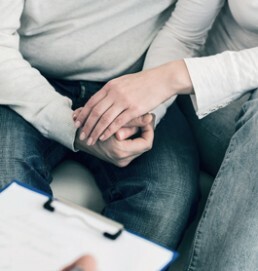 From counseling to legal help, they do it all! I’ve used many of their services and have had nothing short of successful experiences every time. They help families in times of need. I highly recommend their services to anyone going through relationship hardships. I was finding myself lost and out of options until one of my friends recommended the services at The Clarity Divorce Centre. I gathered the courage to book a consultation with Diane and I have never looked back since. I went from being scared and vulnerable to feeling confident and knowledgeable of my situation. Diane was able to help guide me through my separation and create a solution that ended in a win-win, fair agreement and for that I am so grateful. Clarity Divorce Centre’s services are one of a kind and I was pleasantly surprised to see such caring staff. I was going through one of the worst times in my life and Diane has helped me so much! My separation agreement reflected all of the points from our mediation sessions and it was a fairly rapid process. Clarity Divorce Centre provides services that do not financially drain you. I left feeling relieved and glad that Diane was the one to help us through our situation.